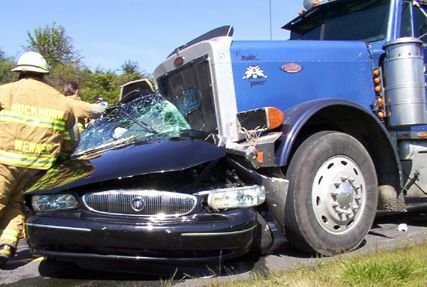 Our experienced Michigan truck accident lawyers have obtained substantial settlements for victims of trucking accidents. These include crashes with other cars, trucks, motorcycles, bicycles, and pedestrians. The injuries from these accidents are usually catastrophic and too often result in the death of an innocent person. What Are The Common Causes Of Michigan Truck Accidents? While some of the causes of truck accidents are obvious, like a rear-end collision, there are numerous other causes of these crashes that may not seem so obvious. We hire the nation's top accident reconstruction experts to help us prove and win our cases. We will do the same for you. Do Truck Drivers Have Limits On The Hours They Can Legally Drive? Yes. There are very specific requirements that set forth the number of hours that a truck driver can drive in a given day and week, as well as the number of hours of rest required between shifts. These hours can vary based upon whether the driver is operating a truck interstate or intrastate. The purposes of these requirements are to reduce truck driver fatigue and to make sure that the roads and highways are safe for other motorists. Drivers and truck companies are supposed to log every minute of both drive time and rest, but many times these logs are forged or not kept at all. Our attorneys will get all of the driving logs to determine whether the driver was on the road too long and without rest as a part of the investigation of your case. We will closely examine the records to determine if they are accurate or if they have been altered in any way. What Is The Large Truck Speed Limit In Michigan? Under Public Act 455 of 2016 enacted into law on January 5, 2017, a truck, a truck-tractor, or a truck-tractor with a semi-trailer or trailer can operate at a speed not to exceed 65 mph on a freeway, where the posted speed limit is greater than 65 miles per hour. Many serious truck accidents are caused by truckers driving in excess of 65 miles per hour which makes it very difficult to control and stop the truck. How Can I Get My Truck Accident Report? You can get a copy of your truck accident traffic crash report (UD-10) from the police agency that investigated the accident. For accidents investigated by the Michigan State Police, you can purchase your report online through the Traffic Crash Purchasing System. Our Michigan truck accident lawyers also have extensive knowledge of the complex trucking regulations for both interstate and intrastate motor carriers. Truck accident cases are often won by proving that the truck driver and trucking company operated their trucks in violation of the trucking laws. Many times the truck driver is drowsy due to an unlawful number of hours on the road or the accident is caused by defective equipment on the truck. We will investigate all possible violations to prove and win your case. What Type Of Accident Is Considered A Truck Accident? When referring to "truck accidents," lawyers are generally referring to crashes caused by large commercial type trucks. Commercial trucks are vehicles used for the transport of commercial goods or property and are driven by professional truck drivers for compensation. While pickups and large SUVs may be considered trucks by the general public, cases referred to as “truck accidents” are for larger vehicles. Video: Who Can Be Sued For A Michigan Truck Accident? Determining the identities and the role of these people and entities requires the skill of an experienced truck accident lawyer. The relationship between these people and companies is often complex. Each person and entity often has separate insurance coverage so it is necessary to properly identify each party in order to maximize the potential insurance coverage to pay a settlement. What Are Michigan No-Fault Insurance Benefits? No-Fault insurance benefits are benefits you are entitled to receive under Michigan law, regardless of fault, if you were injured in an accident that arose out of the ownership, operation, maintenance or use of an automobile as an automobile, such as a car or truck. Do I Get No-Fault Benefits If I Was At Totally Or Partially At Fault For The Accident? You can receive all eligible benefits even if you were at fault in the accident. This is true even if you injured another person in the accident, or even if you were under the influence of alcohol or drugs at the time of the accident. An insurance company cannot deny your benefits if the accident was your fault. How Much Time Do I Have To File A Truck Accident Lawsuit In Michigan? Under Michigan law, the time limit to sue someone for personal injuries from an auto accident is three years from the date of the accident. This is known as the “Statute of Limitations. The period may be extended longer if the injured person was a minor at the time of the crash. Are Trucks Required To Carry Large Insurance Policies? Federal law requires commercial trucks traveling in interstate commerce to carry $750,000 of insurance for bodily injury and property damage. Michigan has adopted the Federal Motor Carrier Safety Administration rules and regulations to govern its commercial trucks, so the insurance standard applies in Michigan. Many trucking companies have much larger policies or additional policies as well. How Much Are Truck Accident Settlement Payouts? For fatal truck accidents, the surviving family members can file a Wrongful Death Lawsuit. These lawsuits seek compensation for the pain and suffering endured by the decedent from the time of accident until death, the loss of society and companionship suffered by family members, loss of income, loss of support, and funeral and burial expenses. When a truck accident results in the death of another motorist, passenger, bicyclist, or pedestrian, surviving family members can file a wrongful death lawsuit. These cases seek damages for conscious pain and suffering from the time of accident until death, the loss of society and companionship of surviving family members, loss of income and support, and other economic damages. The lawsuit can be brought by a family member of the decedent and is filed on behalf of the entire family. The person bringing the suit is appointed as the Personal Representative of the estate for the purposes of filing the case, but all family members have rights in the suit. The parties need a judge to approve the settlement and the amount of the settlement shares for each family member. Do I Need A Lawyer For A Truck Accident Case? You can always try to settle your truck accident case without a lawyer. However, studies show that injury victims receive much higher settlement awards when represented by an experienced attorney and end up with more money for themselves even after paying the lawyer fees. How Much Does It Cost To Hire A Trucking Accident Attorney? It does not cost anything to hire our truck accident lawyers. We do not charge any fees to start your case and only get paid when you receive your settlement check. This is called a contingency fee agreement. Under this arrangement, we also pay all of the case expenses for you and get a percentage of the settlement at the very end of the case when your check is received. How Do I File A Michigan Truck Accident Lawsuit? You will most likely have to file a lawsuit for injuries caused in a truck accident. Due to the severity of these crashes, these cases rarely settle before a lawsuit is filed. You need to get an experienced law firm on your side immediately after the accident. Trucking companies are very aggressive in their post-accident investigations. They send out their own insurance investigators immediately to gather evidence, inspect the vehicles and the roadway, and to take witness statements. Their goal is to show that the truck driver was not at fault for the accident and to point the blame at the innocent victim. The insurance companies defend truck accident cases very aggressively. Your case deserves the attention of an award winning truck accident law firm on your side that has the resources, skill, knowledge, and experience to battle them and win you the best possible settlement. Choosing a law firm without these attributes will ruin your case. How Much Are Michigan Truck Accident Settlements? Truck accident settlements are often substantial due to the serious injuries caused by the collision. Most trucking companies have large commercial insurance policies with high policy limits, which means that the accident victims often receive greater compensation than in a typical car accident. Many trucking companies even have more than one policy. In fatal truck accident cases, we file a wrongful death lawsuit for the surviving family members. Settlements in a wrongful death lawsuit includes compensation for the pain and suffering of the decedent, loss of society and companionship for the surviving family members, lost income and support, medical expenses, and funeral and burial expenses. $1,800,000 Settlement for a client who was struck by a semi-truck on I-94 near Detroit. $ 950,000 Settlement for a woman in Saginaw who was rear-ended by a truck. $ 800,000 Settlement for a Muskegon man who was struck by a truck on the highway. $11,900,000 fatal truck accident settlement filed on behalf of three passengers who were killed when a speeding truck driver ran a red light, swerved into oncoming traffic and flipped over onto their vehicle. The passengers were trapped and crushed under the weight of the truck and died due to asphyxiation. $8,000,000 truck accident settlement for two passengers who were severely injured when a semi-truck collided with their minivan. One passenger suffered from a severe traumatic brain injury and facial, rib, and vertebral fractures. His wife suffered from a closed-head injury, several fractures, nerve damage, and a torn meniscus which required surgery. $4,950,000 head on truck accident settlement. The victim suffered from a traumatic brain injury, fractures of the hip, femur, and tibia, and knee injuries which required surgery. $4,900,000 settlement for a family who suffered serious injuries in a tractor-trailer rear end accident in Michigan. $4,700,000 fatal truck accident settlment for a backseat passenger in a vehicle plowed into by a negligent truck driver. A passenger was fatally injured in a Michigan trucking accident. $4,530,000 settlement for man who suffered spinal injuries after his car was hit by a semi-truck driver on a Michigan highway. $4,250,000 truck accident wrongful death settlement filed by the family of a woman who was killed by a semi-truck driver. Our Michigan truck and automotive accident attorneys also understand issues relating to trucking company insurance companies. This allows us to determine all possible insurance policies so that we can obtain the best settlement for our client. Companies carrying trucking insurance policies work aggressively to limit the amount of compensation and benefits they pay out. It is important to have an attorney not afraid to take on big insurance companies when you have been injured in serious truck accident. Warning: There are strict time deadlines for filing Michigan truck accident lawsuits. Call us now to get started on your case and help you win the maximum settlement. According to the latest fact sheet developed by the Michigan Office of Highway Safety Planning, heavy trucks/buses were involved in 11,981 of all traffic crashes in Michigan. Of those crashes, 120 people were killes and 3,012 were injured. With the total drivers involved in the crashes 21 had been heavily drinking, and 12 of the total number of drivers were killed. They listen, they understand. They keep you involved in your case. I always felt like my case was number 1 at all times... I feel that they worked to get me every penny that they possibly could.